Project in collaboration with Elsa Deschamps. I worked about the page space: creative space and space reading. 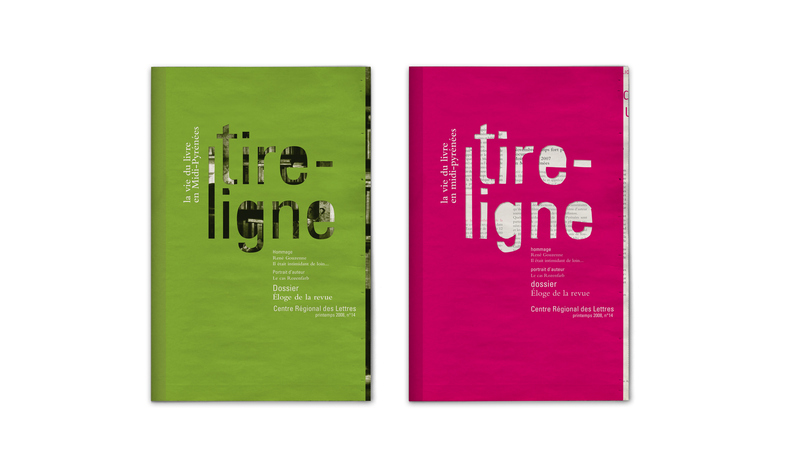 CRL (Regional Centre Letters) Magazine aims to enhance the life of the book in the Midi-Pyrenees. It is aimed to a wide audience constituted mostly by the different actors in the book profession. 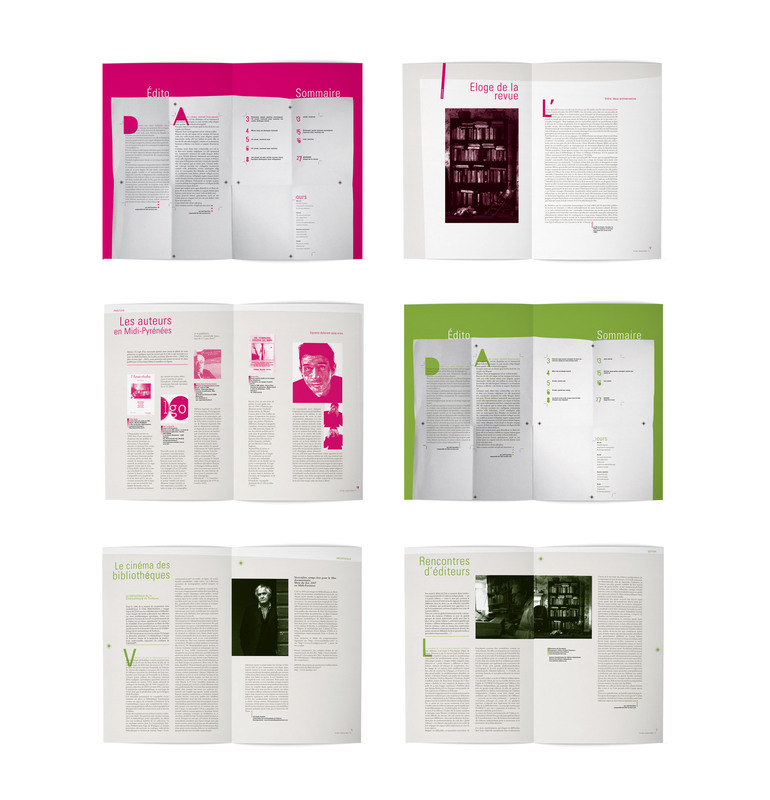 We have chosen to highlight in the graphic chart the specific signs that refer the process of creation of a book in its various stages (writing to printed and ready to be produced broadcast). On the other hand, we played on the notion “page” (which is the main component of the book) throughout the model. We have consistently reconsidered the page to explore its limits as such a creative space to reclaim, to rebuild and reconstruct.